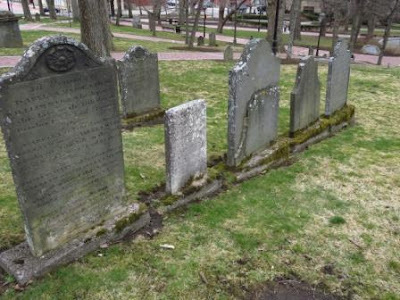 I'm drawn to old graveyards and will walk through one if I come across it. 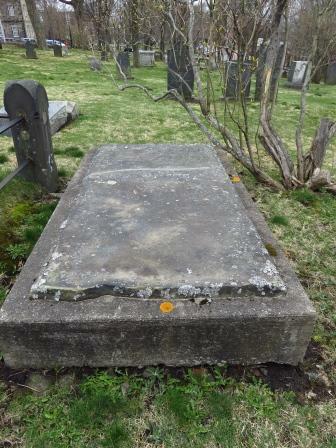 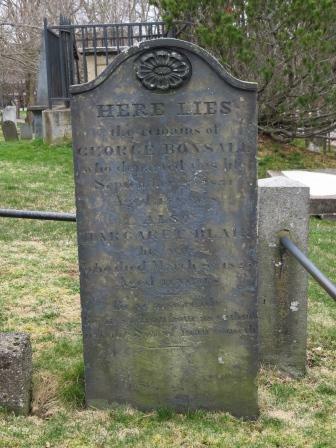 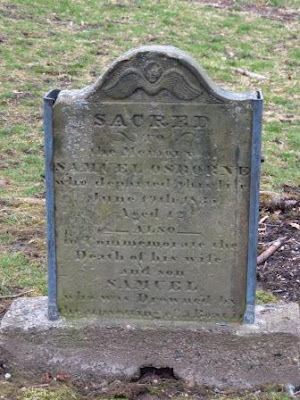 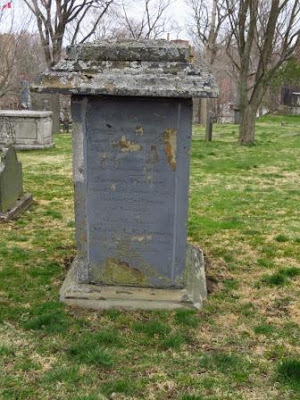 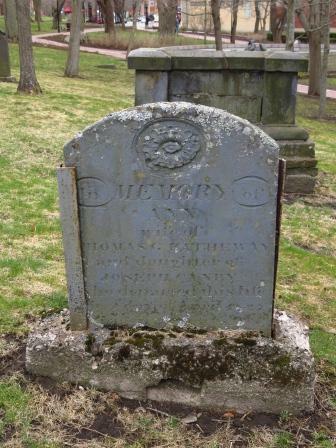 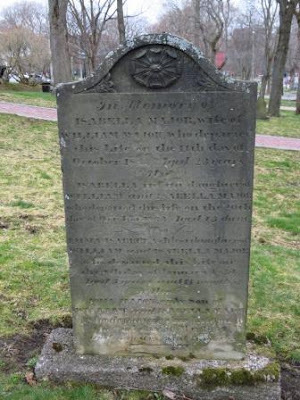 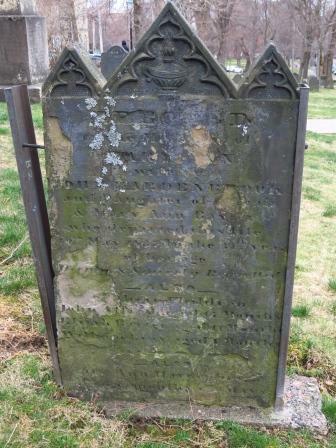 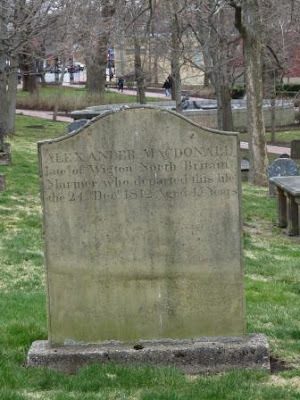 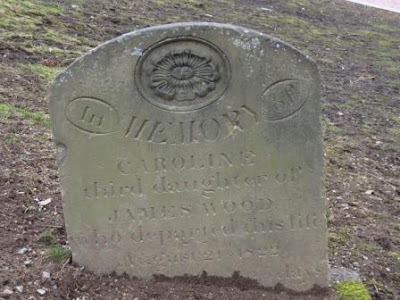 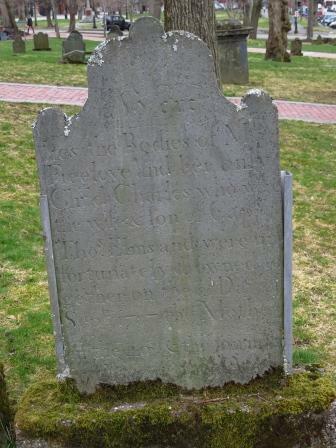 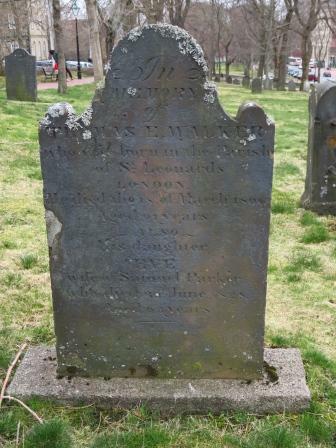 I find it interesting looking at the gravestones and wondering about the stories of the people they are honouring. 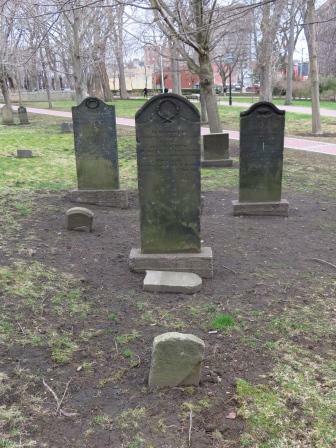 Across the street from King's Square is the Old Loyalist Burial Grounds so I took a walk through it. 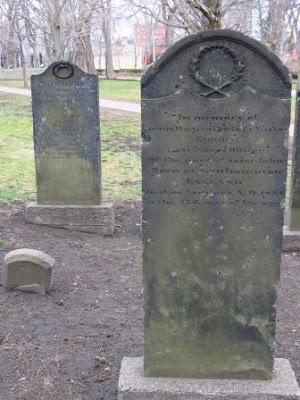 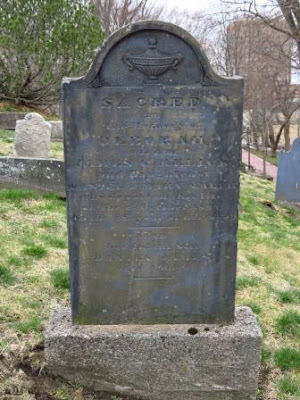 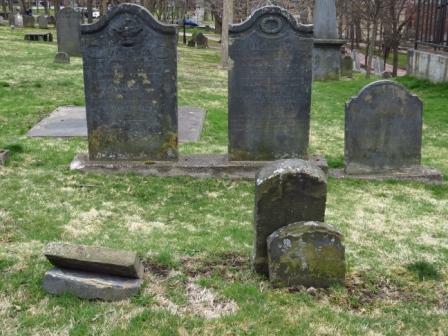 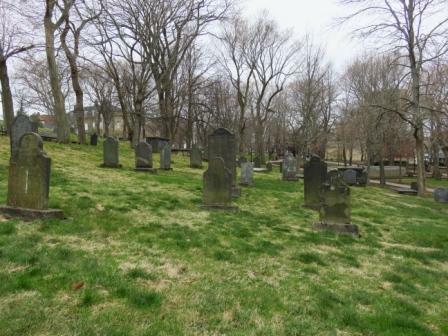 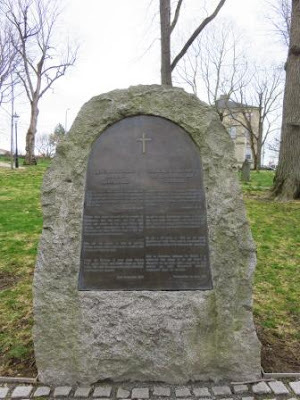 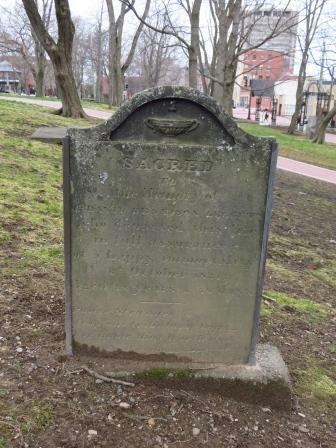 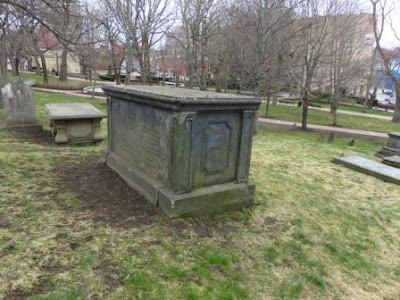 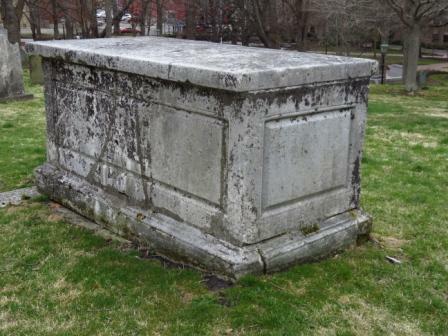 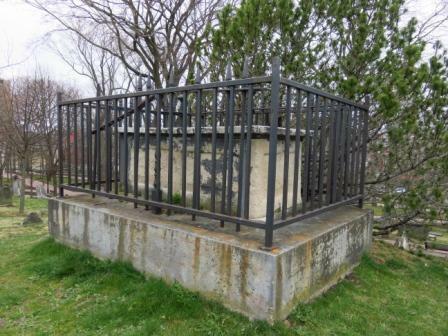 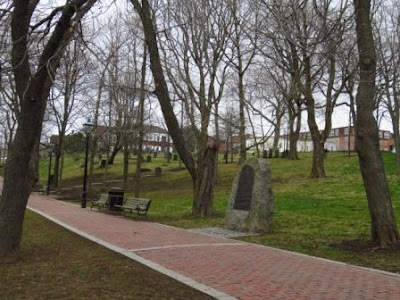 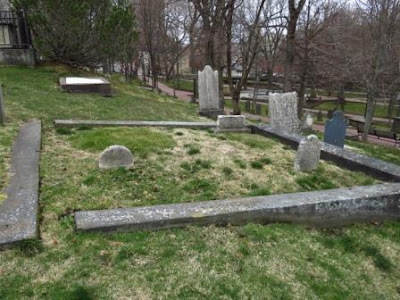 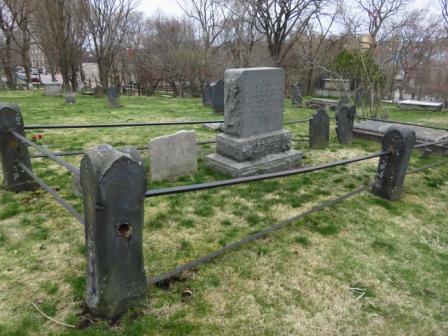 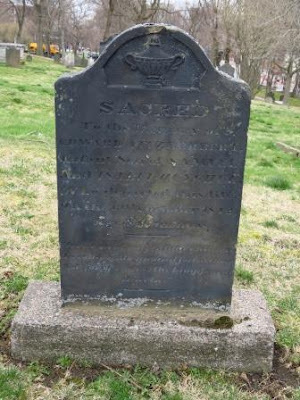 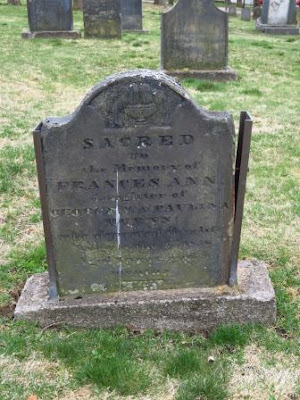 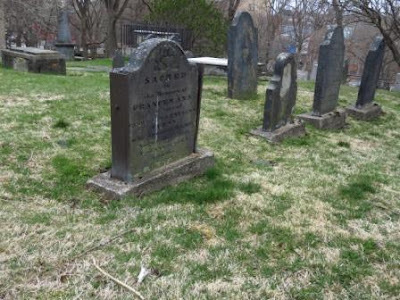 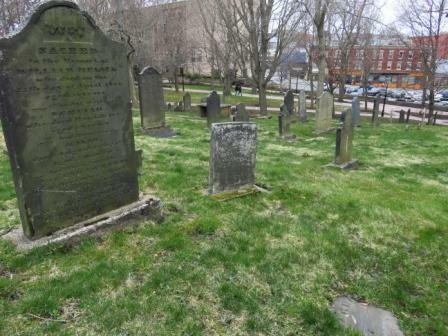 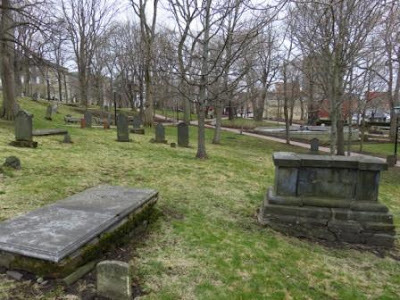 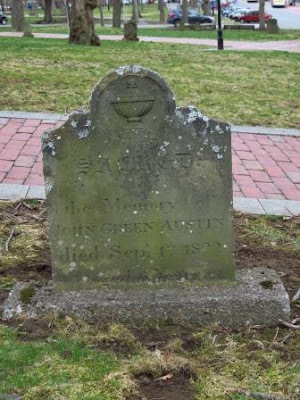 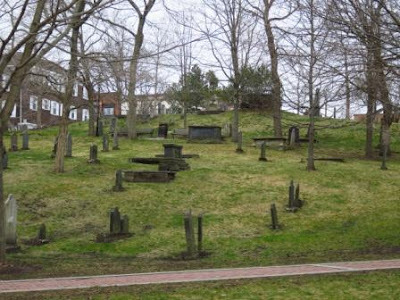 Saint John's original burial ground was established on this site shortly after the landing of the United Empire Loyalists in 1783. 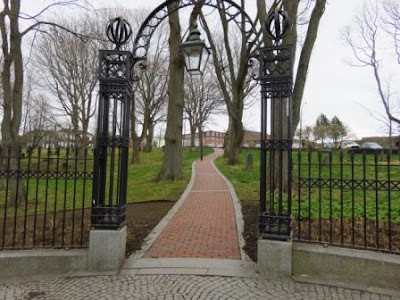 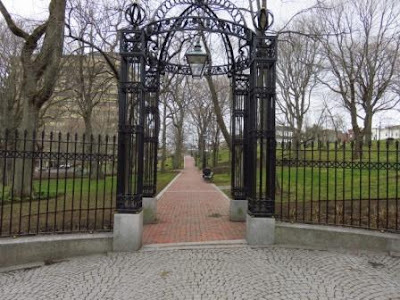 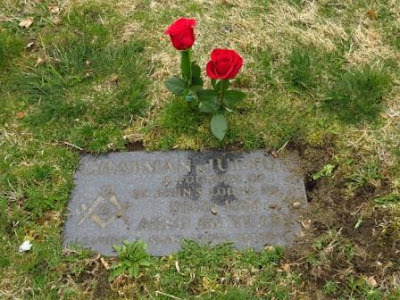 After its closure as a cemetery in 1848, the site became a memorial garden with tree lined walkways and flower beds. 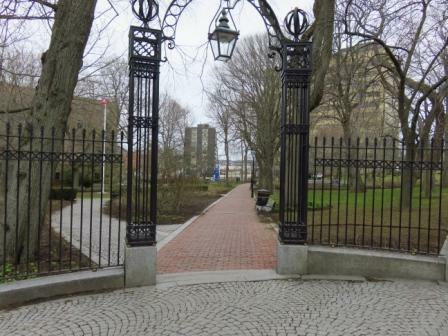 For upwards of 100 years, it remained a unique place of beauty in the centre of a busy industrial city. 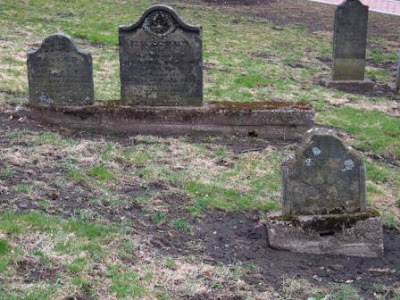 However, time and neglect gradually took their toll and by the late 1900's the burial ground was in a state of disrepair. In 1994, the Irving family undertook a restoration program as a gift to the people of Saint John. 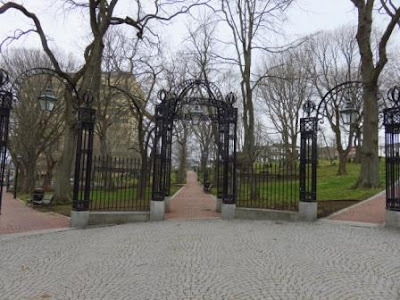 They commissioned and carried out a refurbishing of the entire site, including the construction of brick and granite walkways, benches, specially cast memorial gates, railings and light columns. 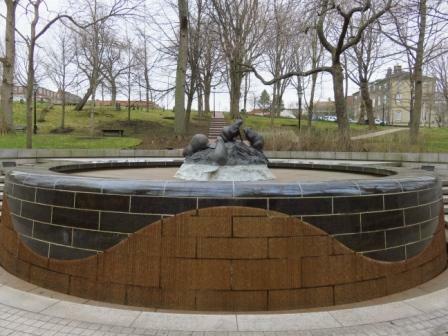 Hundreds of trees and thousands of flowers and shrubs were planted and the magnificent Beaver Fountain was created. 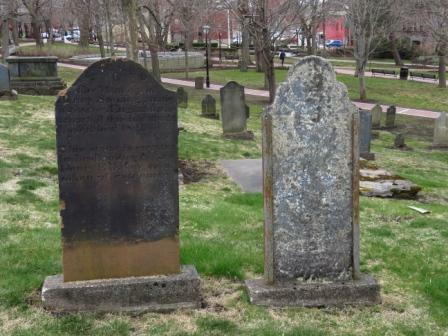 It was back in 1925 that K C. Irving established his first Saint John business on Union Street adjacent to the burial ground. For many years, he looked out over this very site from his office in the Golden Ball Building. The Canadian Beaver, a prominent motif found throughout the site, depicts the hard work, enterprise and tenacious resolve of the city's founders and those who followed. Work on the site commenced in the Spring of 1994 and was completed the Summer of 1995. 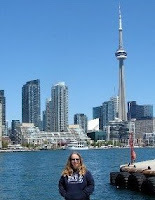 They sought refuge and found solace on these shores. 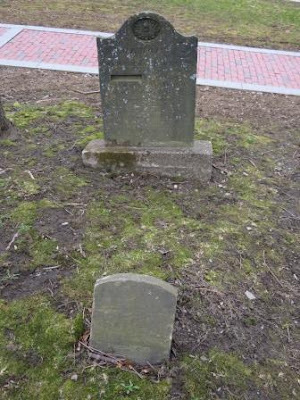 Knowing that their descendants now flourish.